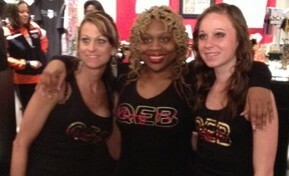 QEB VLog TV is a joint video blog network (QEBVLOG.TV) with QEB,LLC, as well as a video-on-demand subscription service. We offer access to entertaining content on a monthly or annual basis, like tv shows, films, music, social networking, marketplace, dating and jobs. We develop and syndicate content, like news, talent, and events. And we provide banner ad space, commercial airtime, and paid programming.